The relation between cinema and writing about cinema involves a productive friction. One way to think of it is in terms of ekphrasis or words-about-images. And one result of that friction is that cinema might equally encourage different kinds of writing or words-about-images. In some cases, we get historical descriptions of society, culture, and industry that come from meticulous scholarly excavation; in other cases, we get profound philosophical reflections on perception, experience, ethics, and knowledge. In still other cases, we get eye-opening taxonomies of audiovisual technique. Pictures, in other words, are not self-evident. Besides these kinds of writing about cinema, there is also film criticism that engages in erudite appraisal of individual film texts. 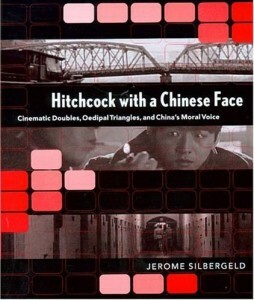 Hitchcock with a Chinese Face is a compact example of such film criticism, and the book displays a number of features that give it a special place in the current field of English-language writing about Chinese-language cinema. Hitchcock with a Chinese Face consists of an Introduction and three chapters. This slim book focuses on three films, one per chapter: Suzhou River (directed by Lou Ye, 2000), The Day the Sun Turned Cold (Yim Ho, 1994), and Good Men, Good Women (Hou Hsiao-hsien, 1995). The book argues that each film, understood as a reflection of and response to contemporary social issues, explores the possibilities for moral action that individuals face in today’s China. Silbergeld’s “China” includes Hong Kong and Taiwan and is firmly planted in the world at large, in terms of cultural values, political and economic conditions, cinematic traditions, and interpretive discourses. In other words, the book treats individual films as attempts to work through moral and cognitive issues in an audiovisual and aesthetic mode. More specifically, what the book finds in these films is complexity, ambiguity, difficulty, heterogeneity, and depth. These qualities are especially apparent in terms of character psychology. One way in which the films articulate such complexity is through double figures, especially within domestic or otherwise intimate social relations. Those figures include look-alike characters (Suzhou River ), surrogate parents (The Day the Sun Turned Cold), and an actress who plays an actress playing a real historical person (Good Men, Good Women). Each of the three main chapters begins with cast and credits, as well as a very succinct plot summary. The chapter on Suzhou River is then divided into three sections. The first sets the stage for the whole analysis by suggesting that the famous similarity of this Chinese film to Alfred Hitchcock’s Vertigo is a case of out-Hitchcocking Hitchcock. Instead of ending with the dark catharsis that comes with the death of Madeleine/Judy in Vertigo, Lou Ye’s film opens the possibility of a romantic redemption for the mermaid girl Meimei, since Meimei turns out to have been possibly a mere double for the kidnapped girl Mudan, someone who looks like but is not the same person. The chapter then goes on to work out the details of this Hitchcock with a Chinese difference, linking the figure of the mermaid to the classical legend of the Luo River goddess and the spirit of everyday cynicism and deception to a contemporary China awash in capitalism and globalization. Like the first chapter, the second chapter begins by noting the resonance between The Day the Sun Turned Cold and Hitchcock, or to be precise, Hitchockian Freudianism. The second half of this two-part chapter also ties the psycho-moral story in the film to an allegory about contemporary China. In this case the conclusion is that the moral complexity expressed in Yim Ho’s film is the result of a new and discomfiting recognition of collective responsibility for Mao-era suffering (e.g., the Cultural Revolution), a responsibility to be shouldered by all members of the family of China and not just by its symbolic fathers. The third chapter, on Good Men, Good Women, follows a slightly different trajectory. Rather than anchoring the analysis squarely in Hitchcock, this chapter begins by summarizing the problematic history of Taiwan. It implies that the multiple and often conflicting versions of that history are the grounds for the formal complexity of Hou Hsiao-hsien’s film, a film that interweaves several story lines, stars a single actress who plays a fictional actress who is set to star in a film about a real woman, and alternates between a fictional contemporary present and a real historical past. In its second section, the chapter goes on to reflect upon the conditions of filmmaking that Hou and the good men and women who are his collaborators face in present day Taiwan. Through its third section, the chapter ends with ruminations on the emptiness of nature imagery, especially that of Hou’s trees, and how that emptiness in fact asks to be filled through moral contemplation and action. With his disciplinary background in art history rather than literary studies or film studies, the most common fields in which English-language scholars study Chinese cinema, Jerome Silbergeld of Princeton University brings a fresh perspective to the subject matter. Like his earlier book China into Film , this one makes a point of including still frames from the films discussed, allowing for both exacting visual analysis and less wordy description in the text of that analysis. The book also includes other images, such as stills from other films and details of classical Chinese paintings, bringing the total number of printed images to 100. Beyond these, Hitchcock with a Chinese Face goes one important and logical step further by including a DVD that contains all of the still images in the book as well as twelve sequences from the three central films. This inclusion makes the book extremely useful for classroom use. More significantly, however, the integration of images in print and on the DVD greatly expands the range of possibilities for Silbergeld’s analysis. For example, the occasional detours into premodern Chinese aesthetic tropes such as copying or “transformative imitation” (13-15), as well as pictures-within-pictures (83-84), become less distant and more enlightening when one actually sees the included examples. Likewise, the DVD sequences can deliver important details of film texture that black-and-white still images cannot. The section of the DVD on Suzhou River, for example, includes the famous opening sequence shot along the river. The impact of the sequence depends on just about everything that still images leave out, such as jump cuts, zooms, and jiggly camera movement. That virtuosically primitive look is a product of cooperative Chinese-German postproduction editing, an example of the film’s transnational history that would be worth reflecting upon at length, especially in light of the book’s double proposition that these films are part of world cinema and yet are also strongly committed to local or national Chinese traditions. Still, the book’s interest remains not so much visual as moral–the latter being something that is not necessarily visual at all. 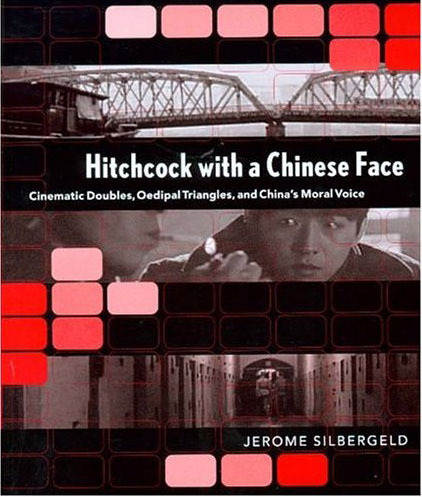 This overriding interest is one of the elements that make Silbergeld’s own voice unique in the field of Chinese cinema studies in English. The book sets out from the assumption that the individual is a moral agent, whether that individual is a filmmaker, a fictional character, a film viewer, or a critic. The resulting emphasis on the complexity of social reality and the necessity to make hard choices, lest one remain paralyzed in the face of such reality, leads to some insightful connections beyond the diegetic worlds depicted in the films. For example, Hou Hsiao-hsien’s famous reserved working style, with minimal rehearsals and improvised performances by “nonprofessional” actors and with languid and distanced camerawork, is reinterpreted as a reflection of Hou’s care for the moral choices that his fictional characters face. Better yet, that style mimics as both form and practice the social space or emptiness that requires such choices. The insistence on reading not just morality but moral complexity in these three cinematically dense films imprints a heavy stamp on the book’s method and conclusions. With respect to method, we might understand the book’s unspoken emblem to be Jean-Luc Godard’s famous quip that tracking shots are a question of morality. On the surface this quip would translate into the general principle that choices of form, technique, and style have ethical and even political implications. The book argues this point throughout, with the help of the printed images and the supplementary DVD. But behind Godard’s quip lay European modernist art cinema, the ideology of New Wave cinemas (e.g., the emergence of maverick creators from oppressive politics and moribund mainstream cinema), a radical or even revolutionary position-taking, auteurism, and cinephilia. Such a framework entails that the book’s commentaries proceed less by stepwise logic than by association and evocation. This makes the book less of an argument and more of a demonstration of a critical consciousness–as a moral agent–at work. Hence the commentaries repeatedly conclude that the answer to the films’ moral and cognitive questions is that there is no answer. In a surprising but refreshing twist, the suspension of a moral conclusion, in honor of a demonstration of how to catch the formal complexity or ambiguity of the film texts, makes the book a descendant of neither film studies nor art history but of literary New Criticism. When entering into a field of discussion and debate, conversation and contestation, we critics and scholars usually make some initial space-clearing gesture to distinguish what we are about to do from what we are working against. With respect to cinema, that gesture often takes the form of a return to the audiovisual text (especially as a visual artifact) or its opposite, a turn to extratextual, contextual, and even non-audiovisual issues like ideology, institutions, or intellectual politics. As the emphatic inclusion of still and moving images suggests, Hitchcock with a Chinese Face gives “an increased attentiveness to the visual artistry of Chinese-language film and gives the highest priority to the works themselves rather than to preconceptions brought their way” (8). Reading for moral issues, however, may be yet another preconceived approach, which is to say that preconceptions are a matter of degree rather than of kind. For example, what strikes me as the least enlightening part of the book is the long psychoanalytical reading of The Day the Sun Turned Cold. By implementing Freudianism at such great length, and in the service of parsing post-Mao morality as a familial and Oedipal struggle, the book rewrites the film into “the day the son turned cold.” Along the way it loses sight of the audiovisual texture that is its stated object of analysis. An alternative “preconception” about this film, indeed about all three films, might be that their audiovisual texture has something to do with their trans-Chinese and even transnational nature. Suzhou River is the product of Chinese-German cooperation in an international art film circuit; The Day the Sun Turned Cold is a Hong Kong Mandarin-dialogue film based on a real event in China; and Good Men, Good Womenis a film shot on location in both Taiwan and China and (in part) recounts the vicissitudes of leftist politics when the latter travels between those two places. Adopting this approach to the films could give a different sense to the question of morality, one that would in turn have to delve more deeply into other contextual histories like those of China-Hong Kong film production and the development of visibility as a public and political spectacle in China, Hong Kong, and Taiwan since the 1980s. It could even ask how audiovisual technologies and practices are themselves engines for the production of a China in a broad sense that includes Hong Kong and Taiwan. This is not at all to say that Hitchcock with a Chinese Face misses the mark. On the contrary, it demarcates the goal quite clearly, and it does so in an elegant package that has very important pedagogical use value and consequences. The next step, however, would be to reflect further on how morality itself is produced, articulated, and circulated in specifically audiovisual form in our world. The return to morality as represented through psychological complexity, ambiguity, difficulty, heterogeneity, and depth would have to come into question, given the upside-down nature of the China conceived here. Brian Henderson once argued that for the Godard of Weekend, the question of the morality of tracking shots in particular is that of remaking cinema through a flattening visual style that empties out the bourgeois, mainstream, and quasi-official ideology of personality and depth. But if, on the one hand, such revolutionary flatness is itself the background against which the three films in Hitchcock with a Chinese Face are working (and even this claim is not self-evident when we consider the cinematic traditions of Hong Kong and Taiwan) and if, on the other hand, the world in which the films’ China is firmly planted is one in which capitalist globalization is not necessarily a good thing, then audiovisual texture may be not a question of morality but rather a questioning of morality. What this book suggests, finally, is that an answer might be found in the technique of doubling faces, characters, story lines, and even in the doubling of cinema and writing about cinema. Brian Henderson, “Toward a Non-Bourgeois Camera Style,”Film Quarterly 24.2 (Winter 1970-71): 2-14.